The Stabila 11901 is a strong rare earth magnet pocket level with a holster that fits your belt. It is lightweight, compact and extremely portable with magnets that stick to stell framing and other metal surfaces. It has been permanently calibrated for accuracy and quick reading. 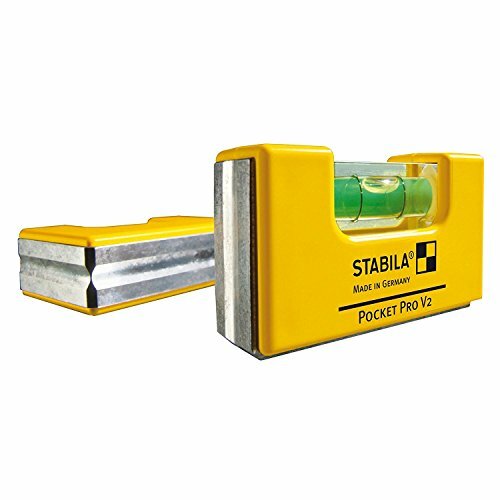 Trust Stabila to improve even the pocket level to a more useful tool you will always want handy. Durable casing and vials for long lasting use. If you have any questions about this product by Stabila, contact us by completing and submitting the form below. If you are looking for a specif part number, please include it with your message.